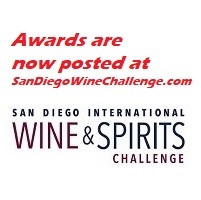 This past summer I judged the Indy International Wine Competition at Purdue University. 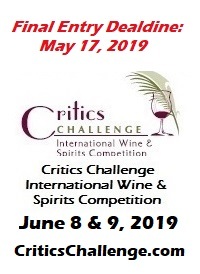 As is typically the case with large wine competitions, dozens of wine professionals were brought in from around the country – winemakers, educators, media members and wine buyers – and divided into judging panels. As it turned out, my four-person panel included a fellow Sonoma County resident: Erik Miller, the owner/winemaker of Kokomo Winery in Dry Creek Valley. After two days of jokes and small talk around the judging table, I learned that not only is Erik a really nice, down-to-earth guy, he also makes some fantastic wines. When the final competition results were tallied, Erik’s wines had won a slew of top awards: “Red Wine of the Year” for the 2008 Pedroni Vineyard Cabernet Franc, “Best of Class” for the 2007 Mountainview Ranch Sangiovese, and double-gold and gold medals for Kokomo’s Pinot Noir, Zinfandel and Chardonnay wines. Not bad for a guy who moved from Indiana to California in 2002 with no particular career plans in mind. Erik’s first wine gig was working crush at Belvedere Winery in the Russian River Valley. Following that harvest, while taking extension classes in enology at UC Davis in 2003, Erik met Rick Hutchinson of Amphora Winery, who offered him a full-time job as a cellar worker. In 2004, Erik made his first wine under the Kokomo label, and by 2006 he’d moved into his own winemaking facility at Timber Crest Farms, located on a 120-acre vineyard in Dry Creek Valley. A couple years later he teamed up with Randy Peters, a fourth-generation winegrower who farms 400 acres of vineyards in three different Sonoma County appellations: Dry Creek Valley, Russian River Valley and Alexander Valley. The majority of Kokomo’s fruit is now sourced through Randy, and the winery’s estate fruit includes Cabernet Sauvignon, Zinfandel, Primitivo, Malbec, Grenache, Merlot, Muscat and Sauvignon Blanc. The wines have great natural acidity, along with terrific balance and elegance. Kokomo currently makes just 5,000-6,000 cases a year. I paid Erik a visit at the winery in mid-October – in the middle of harvest – to find out more about how the 35-year-old Purdue graduate went from temporary harvest worker to Dry Creek Valley winery owner and winemaker in less than five years. Wine Review Online (WRO): You have a degree in organizational leadership and supervision (OLS). What does that involve? EM: Most of the people in that major tend to go into a manufacturing setting to be a supervisor, or they go into human resources or industrial technology. As I’ve told some of my old professors that have been to the winery, my degree is actually pretty relevant in the fact that Kokomo is a production facility. One of the main things OLS hones in is the quality – the total quality management, which is what we’re all about as a winery. WRO: How did you get into the wine business? WRO: What was that experience like? EM: I really didn’t have any idea what I was in for, and I actually wasn’t looking for a career when I did that. I worked under a great winemaker, Troy McEnery, and he really gave me a great opportunity that year. I think a lot of first-time cellar workers wouldn’t be touching any wine and would end up scrubbing barrels for the whole year, but Troy actually let me do all of the yeast additions and let me see a pretty cool side of it. WRO: Was that what made you want to become a winemaker? EM: Yes, that was the year that I decided that this is what I want to do for the rest of my life. It wasn’t that glass of Burgundy that I had, and it wasn’t that glass of German Riesling, as it is for a lot of people who get into this industry. For me it was bringing in those grapes, it was fermenting those grapes into wine, and it was working in the cellar. When you go through a harvest and you think that’s what you want to do for a living, then maybe you can make it. 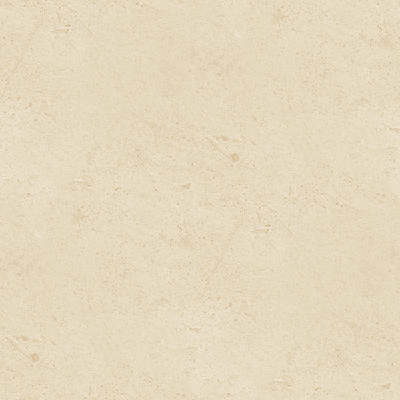 WRO: When did you join Amphora Winery? EM: I was there from 2003 to 2006. I went from essentially a 100,000 case production winery at Belvedere to a 2,500-case winery – from a nice, gleaming stainless facility to working in a barn racking wine into plastic tanks. WRO: How did you like the change? EM: What it did for me is, it showed me that there is a way to make wine and do this thing (without spending a lot of money). A light bulb went off to say that you don’t have to have these chandeliers and marble counters. Rick was in a barn, and people really took to that kind of rustic atmosphere. WRO: What prompted you to leave Amphora and do you own thing? EM: The second harvest I worked for Amphora I was offered some Cabernet grapes by the ranch Amphora was working with, Mounts Vineyard. I had no plans to start my own label, I was just getting my feet wet in this industry. But as time went on I said, “You know what? I’m gonna go for it.” So I talked to Rick, and he was OK with doing a partial trade of my labor in exchange for me using his facility to make my wines. So I made my wines there for the 2004, 2005 and 2006 vintages. In 2006 I moved out of Rick’s and got my place up at Timber Crest. WRO: Why did you call your winery Kokomo? EM: That’s the name of my hometown in Indiana. I wanted to have a name that’s easy to spell and has a story, and a buddy of mine from California always thought that the name of my hometown was very unique. One night when we were hanging out he said, “What about Kokomo?” So I decided to go with it, although I had several people warn me against naming my winery after a Beach Boys song. The tree on the label signifies my move out West – it’s a coastal cypress tree and that, to me, represents balance. WRO: How did you come to partner with Randy Peters and how does that partnership work? EM: I started getting Randy’s grapes in 2005, so I got to know him. He wanted his nephew to partner with him on a winery – his nephew is a UC Davis graduate in enology and viticulture – but the guy was young and he just wanted to make wine, he didn’t want to own a business. So I approached Randy about partnering up with me on Kokomo. It was a great opportunity for me to be able to get stability in my grape sourcing. What is so unique about the arrangement is not only our access to his vineyards, but our selection. For instance, the Alexander Valley fruit we got today – we selected 15 out of 300 tons from the best rows of his 100-acre vineyard. WRO: You make a lot of different wines at Kokomo. What are your flagships? EM: Our biggest production wines are Zinfandel, Chard and Pinot. We’re in Dry Creek Valley so we make four different vineyard-designated Zins. You have to make good Zinfandel in Dry Creek or you might as well hang it up. WRO: What’s your overall winemaking philosophy? EM: My philosophy as the winemaker is to keep my thumbprint off the wines as best I can. I want to show terroir. The most unique thing about wine is not the barrel that I’m using, because everyone has access to the same barrels that I buy. The most unique thing is the fact that these vines grow and they take up sense of place – the soil type, the microclimate, where they grow. I could very easily put too heavy a hand on the wines by using too much oak, by having too much extraction, by adding acid, by doing things that would take away from the sense of place. WRO: What’s your goal in terms of future production size? EM: We want to stay small. Josh (Bartels) – he’s my assistant winemaker and my best friend, and I couldn’t get along without him – we want to make sure that we’re the ones making the wines. If it comes down to a situation where we have a team underneath us doing it, we don’t want that. I think what the two of us can handle is 6,000 to 8,000 cases. WRO: Aside from Kokomo wines, what do you like to drink? WRO: What advice would you give to a young person dreaming of becoming a winemaker? EM: Do not let the intimidation of people saying, “It takes 20 million dollars to make a million dollars in this industry” get you down. You gotta go for it. But I think maybe what landed me here are some of the non-aggressive postures that I had – being very much into making wine and not being aggressive with farmers trying to get their fruit or with potential landlords. I realize now looking back that a lot of these things came about organically from the kind of attitude and the passion I had toward wine.